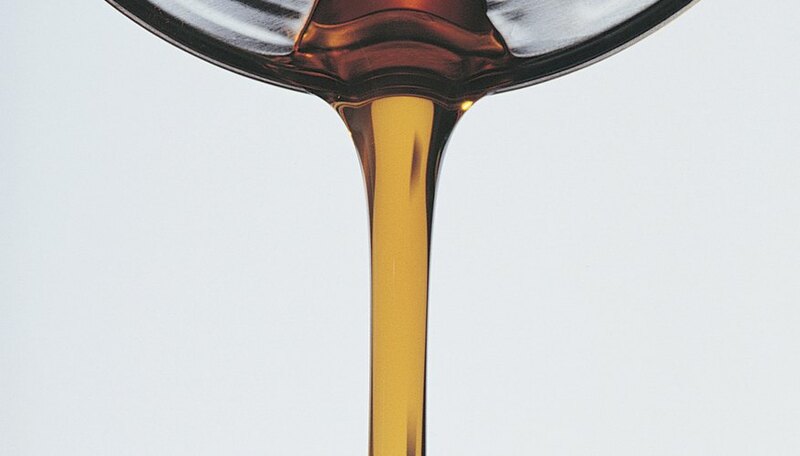 Viscosity is a measurable quantity that denotes a liquid's thickness. A relatively thin liquid, such as water, has lower viscosity than a thicker liquid, such as honey or oil. The measurement was discovered by French physicist Jean Léonard Marie Poiseuille. Today, it is measured by the metric system in units of poise -- or poiseuille -- in honor of the physicist. Born in Paris in 1799, Poiseuille began studying physics at university École Polytechnique in 1815, but left when the school closed the next year. He switched to medicine and his 1828 dissertation featured the invention of a device called the U-tube mercury manometer, or hemodynamometer. It was used to measure the blood pressure of dogs and horses, and used in medical schools until the 1960s. Poiseuille focused on blood flow throughout the remainder of his career. Poiseuille continued to focus on blood flow when he began as a practitioner in 1829. He devised an apparatus made of glass tubes that could be heated and cooled to experiment with liquids of varying thickness. He discovered that tube pressure, temperature, diameter and length all affected viscosity. He discovered an equation -- now called Poiseuille's law -- to derive viscosity from all four factors. The equation can be used to determine the viscosity of everything from human blood to molten lava. Lee, Christina. "Who First Discovered Viscosity?" Sciencing, https://sciencing.com/first-discovered-viscosity-17922.html. 24 April 2017.